Shirley Dawn Crooks 83, peacefully returned to her Heavenly Father on September 29, 2018. In her final days, she was lovingly cared for by the Rosetta Assisted Living staff and her amazing hospice nurse Remmy. Shirley was born in Smethport, Pennsylvania to Harold and Nina Weed on July 23, 1935 but lived most of her adult life in the west. She often referred to herself as a “west coast girl” having an affinity for the western landscape and culture. She attended high school in Phoenix, AZ and San Francisco, CA. During her senior year of high school, she sang in her San Francisco high school choir with her then classmate, Johnny Mathis. She always treasured the fact that Johnny made a special notation to her in her high school yearbook. Shirley was a devout member of the Seventh day Adventist church and loved to read her bible, devotional books and listen to gospel music. She had 2 sons from two previous marriages but met and married the love of her life William Dean Crooks at age 50. 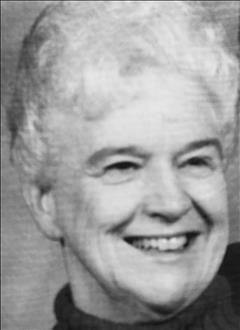 She was working at Silverado Credit Union, Deer Park, California for many years and retired after her marriage to Dean. One of her favorite pastimes was taking spontaneous excursions with Dean in their motorhome. She loved corresponding with her friends and family through letters and postcards. She maintained her own collection of memorabilia and would read and reread the heartfelt messages they contained. Shirley was a lover of horses, dogs and children. Whenever she met a stranger she would always say, “Just call me ole Grandma Shirley”. Shirley identified greatly with being a grandmother to all and always put other peoples needs before her own. She was a true giver and had tremendous empathy for the underdog. Whenever Shirley was parting ways, she would always say “We’ll keep looking up together”. Shirley is now at peace riding her horse into the sunset singing “Happy trails to you – until we meet again”! She is survived by her sons, Don (Kim) Rainwater, Dennis (Anja) Rainwater, 6 Grandchildren, 6 Great Grandchildren, sister Charmain Thompson and brother-in-law William Thompson. She was proceeded in death by her parents Nina and Harold Weed, Brother Alfred Weed and her loving husband William Dean Crooks. Her local family, Michael, Sharon, Allie and Logan LeBeau would like to gratefully thank Rosetta Assisted Living and Encompass Hospice for providing genuine love and care to Shirley during her final days. A private service will be held in California at a later date in celebration of Shirley’s life. She will be buried at Mt Vernon Memorial Park Cemetary, Fair Oaks, CA.